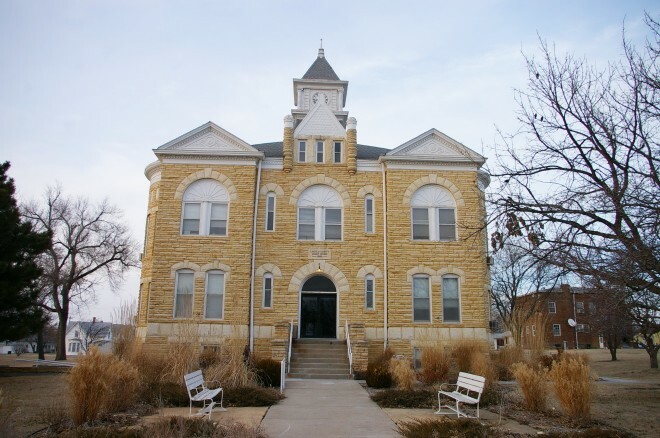 Description: The building faces south and is a two story buff colored post rock structure. The south front has a central entrance with arched stone and large arched window on the second story. 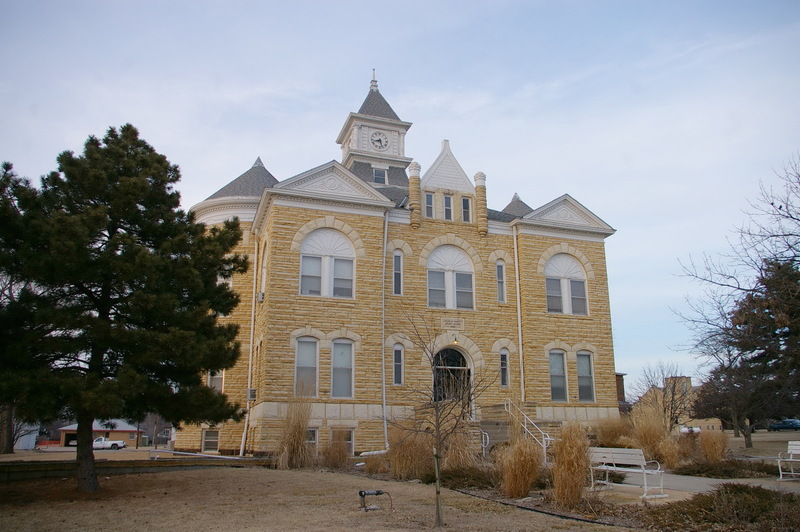 Above on the third story is a three windows dormer rising to a peaked roof. 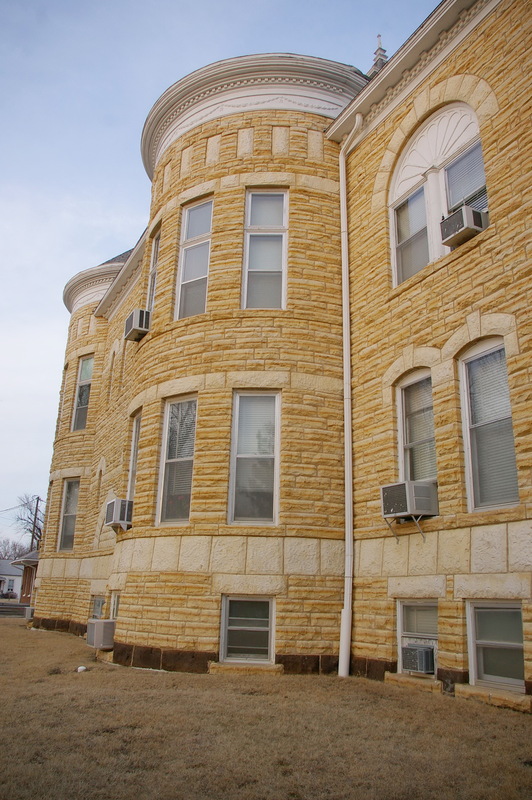 The east and west corners project from the main building and have large arched windows on the second story and a pediment at the roof line. 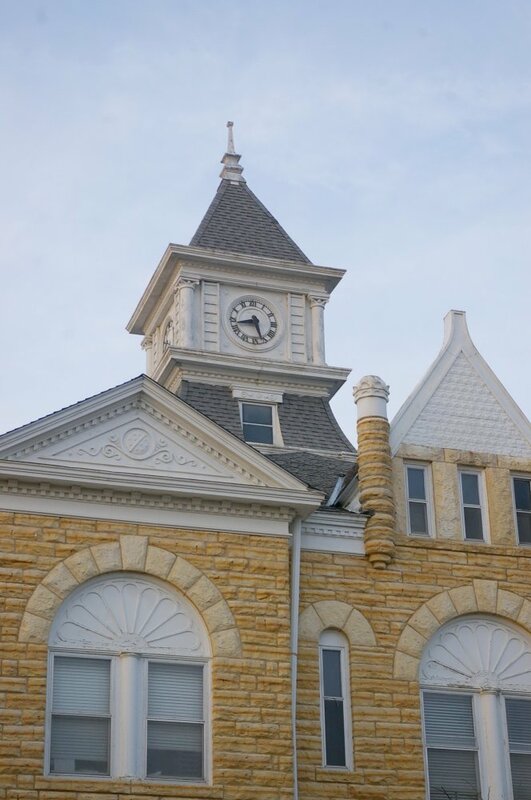 In the center of the roof is a square cupola with clock and steep roof. 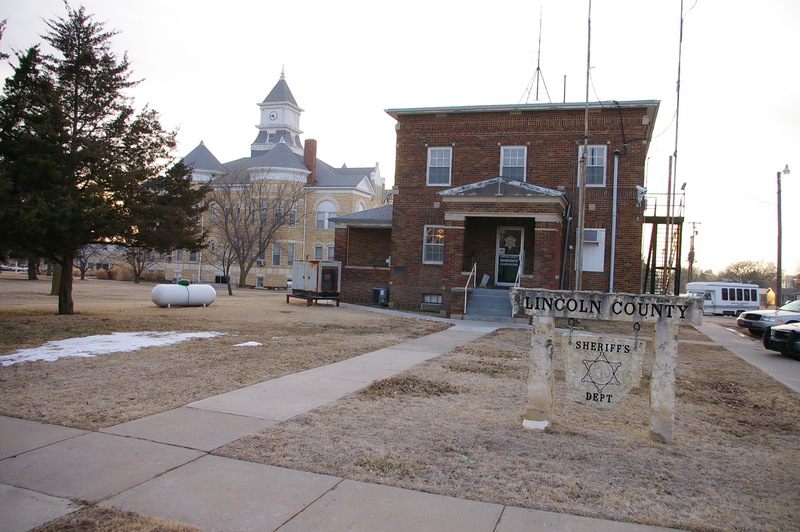 The building sits on spacious landscaped grounds with the old red colored brick Sheriff’s Residence. 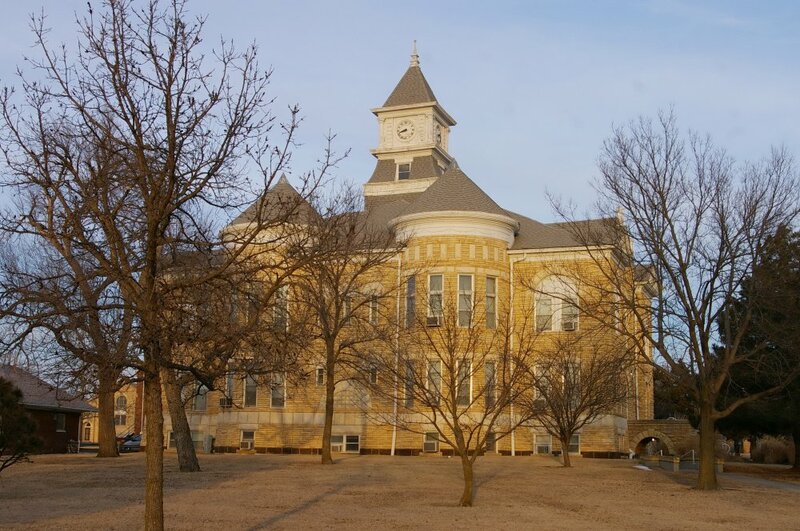 Note: The previous courthouse was constructed by Myron D Green in 1873. 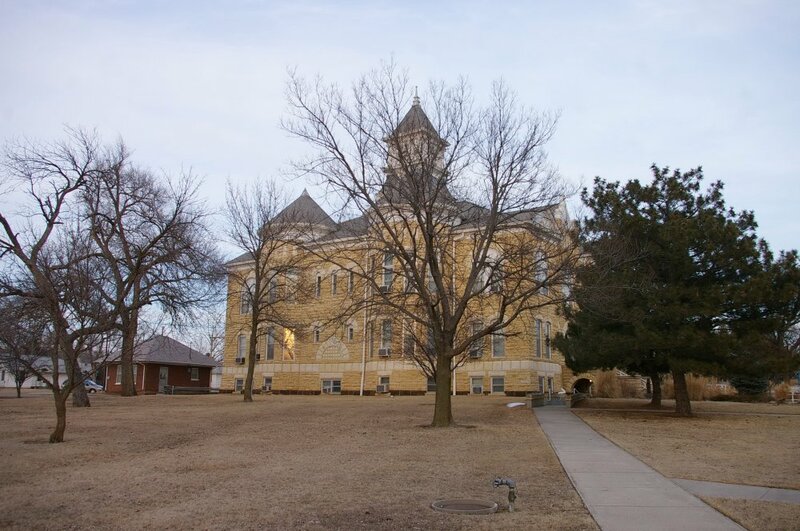 The building was completely destroyed by fire on the night of December 7, 1898. 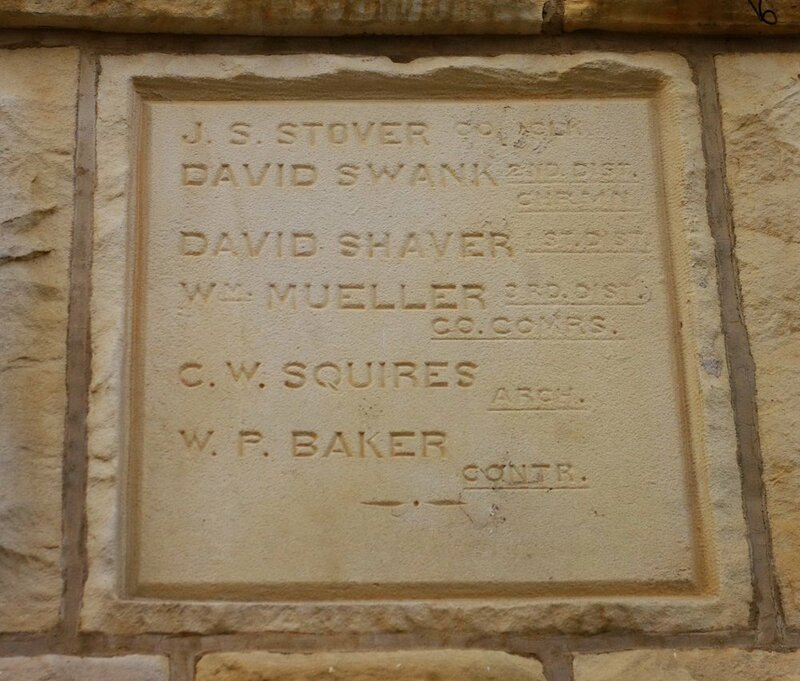 Stone for the present courthouse was excavation under the direction of B P Wicker. A E McMichael was the stonemason. 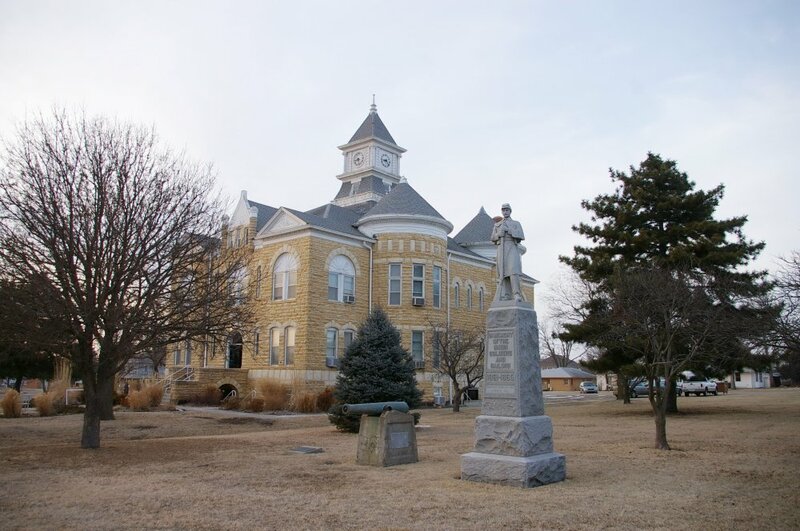 The interior finish materials-door and window frames, stairs for the courthouse was completed by O W Urich, of Atchison, Kansas and the ironwork was done William Bergh of Newton. The total cost of construction was less than $20,000.